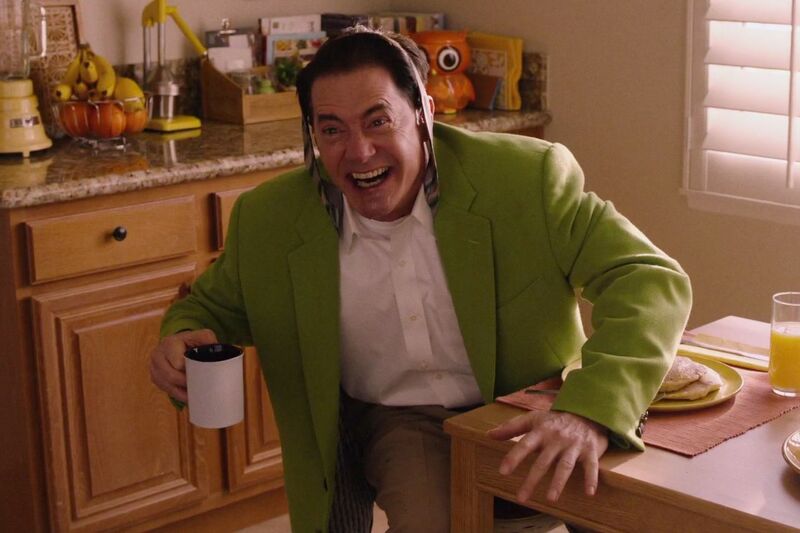 What's becoming more and more evident as the new Peaks progresses is that the series is, in large part, a repository for Lynch's subconscious, past and present. A place for new visions, certainly, but also one where former flights of fancy can be restated and recontextualized. Returning to Barker, there's a quote from his introduction to an early short story collection ("Books of Blood") that's apropos of Lynch's current method: "We are all our own graveyards I believe; we squat amongst the tombs of the people we were." This isn’t the fusion of art-house sensibility with mainstream entertainment that many viewers expect from Twin Peaks; it’s basically an 18-hour David Lynch film whose viewers have a big head start on the backstory. For those who can get comfortable with all the director’s imponderables, the series’ spell soon becomes immersive. This may not be the Twin Peaks we grew up with, exactly, the show that changed television forever by proving how far the medium could reach. Instead, it’s the Twin Peaks we’ve grown into, the one we’re finally ready for, wherever it plans to take us. The original Twin Peaks evoked teen movie stars of the ‘50s, most notably through the James Deanish James Hurley and the Elizabeth Tayloresque Audrey Horne. Wally Brando is the 2017 Twin Peaks homage to that trope, and a wry acknowledgment of how disastrous it would be to do everything exactly the same way it was done on Twin Peaks over two decades ago. Like the rest of the episode, it’s also a reminder that Twin Peaks still has the ability to give us what we’ve always wanted most from it, then and now: the element of totally bonkers, out-of-nowhere surprise. A few things got lost in Cooper’s transmutation from pure spirit to flesh and bone: his memory, much of his personality, and his shoes. It was if Cooper 2.0 had been reduced to Cooper 1.0’s best essential traits: his simplicity, his decency, his curiosity, his selflessness. And yet, he’s also a hero without a self. He’s an Eraserhead. His enchanted man-child evoked the protagonists of Being There, Rain Man, and Regarding Henry. There was some Boo Radley in his story, too, plus a touch of Forrest Gump. But the movie these episodes made me want to re-investigate most, after Lynch’s Eraserhead, was John Carpenter’s 1984 sci-fi romance Starman. Honestly, I had to fight through my want for classic Cooper to connect with this current take on Cooper and enjoy him, but I did. 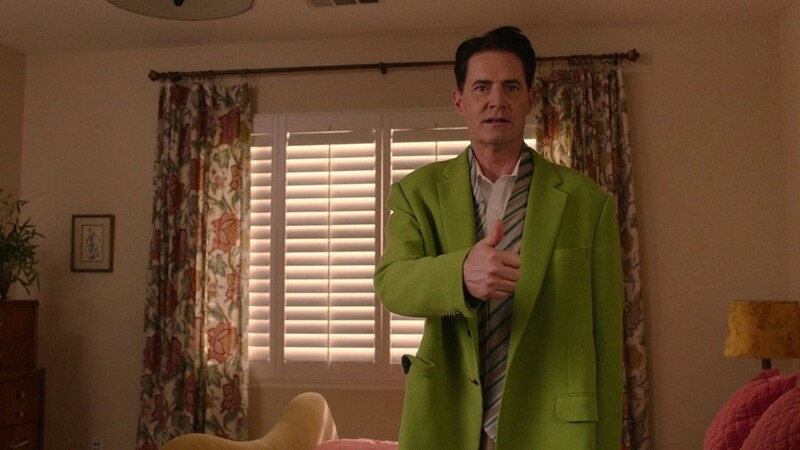 MacLachlan is just terrific.